Item # 150916 Stash Points: 16,995 (?) This is the number of points you get in The Zumiez Stash for purchasing this item. Stash points are redeemable for exclusive rewards only available to Zumiez Stash members. To redeem your points check out the rewards catalog on thestash.zumiez.com. 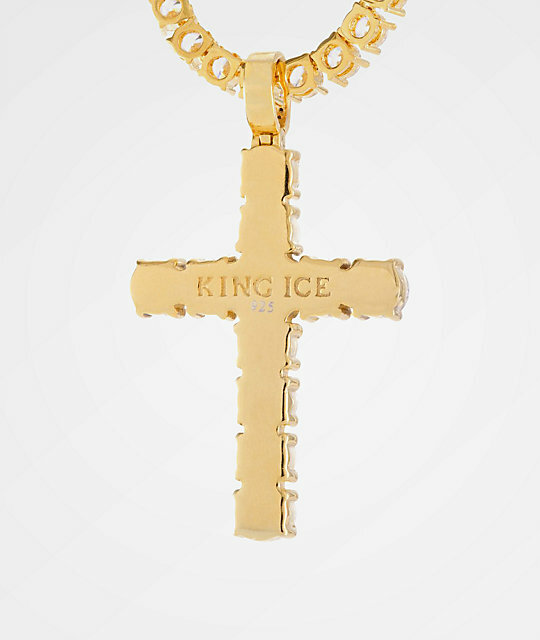 Finish your outfits with a touch of luxury with the Gold Tennis Cross Necklace from King Ice. 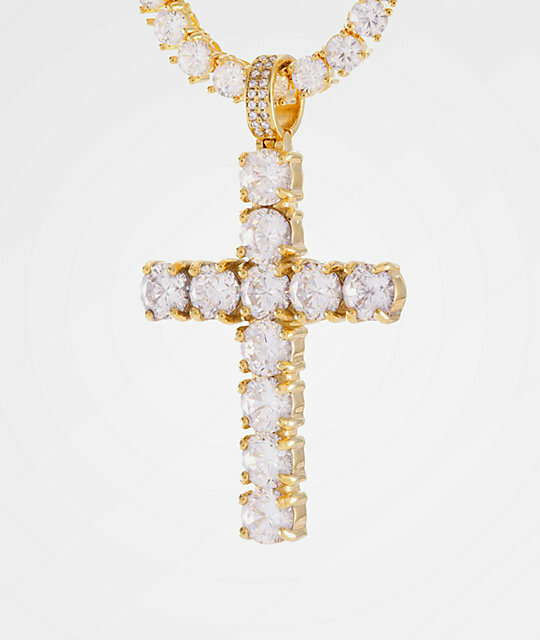 This trendy design is plated in 18K gold and features round cut micro pave set cubic zirconia stones. The 24" long chain is finished with a cross pendant. 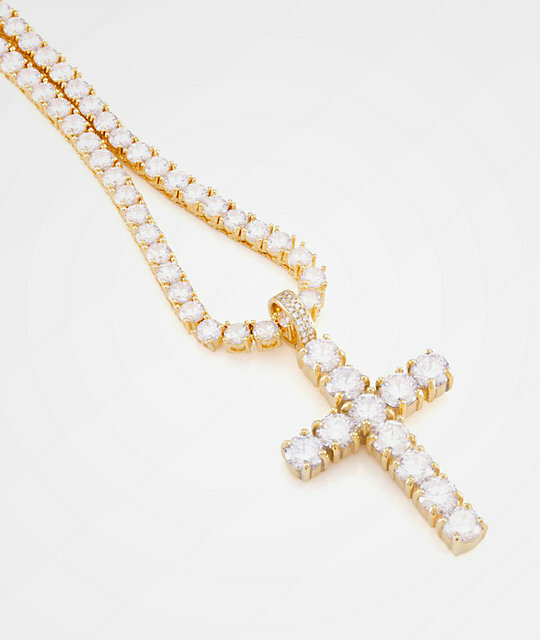 14K Gold Tennis Cross Necklace from King Ice. .925 sterling silver construction plated in 14K gold.